Episode 240! Chris O’Neil from Shakespeare Carolina joined us to talk about their upcoming event on Saturday, October 27th – Night of the Living Dead LIVE. They are partnering with Legal Remedy Brewing in Rock Hill, with a special performance by Qasar Hustle, an intergalactic funk band. The play lovingly examines the film, the period it was made in and it’s undying influence on the horror genre. All the iconic moments from the film are hilariously re-visited, along with an entirely new journey for our beloved characters from the farmhouse. Packed with sfx, music and gore, Night of the Living Dead Live skirts the line between horrific and hysterical! George A. Romero’s classic horror film “Night of the Living Dead” was produced at a time of incredible social and political upheaval. The Vietnam War, the civil rights movement, the collapse of the patriarchal nuclear family and growing mistrust of the government and the media are just some of the themes that influenced both the filmmakers and their audience. The film itself was met with controversy for featuring an African American protagonist and realistic horror images; both ground-breaking attributes for a film at that time. Penned by Evil Dead The Musical’s Christopher Bond, along with Second City alums Dale Boyer and Trevor Martin, Night of the Living Dead Live goes beyond the film and explores burning questions made by die-hard fans, as our heroes try to survive the undead scourge. 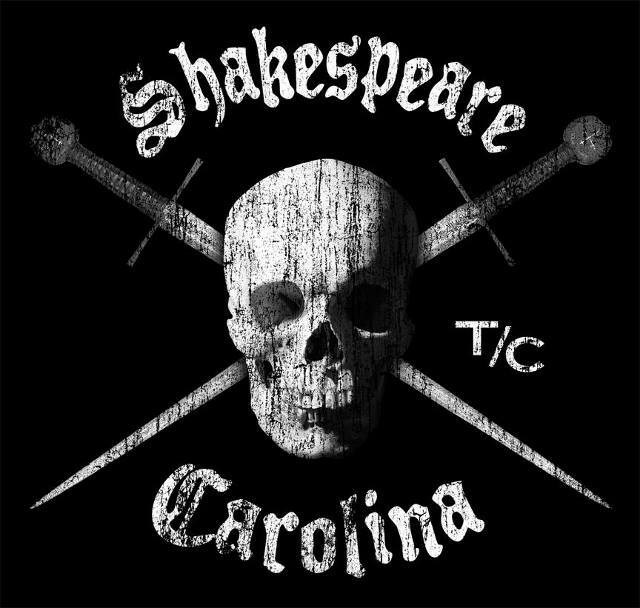 Find Shakespeare Carolina on the interwebz!